The younger generations are being encouraged to develop environmental awareness through drawing contests centered around the care and protection of marine turtles, as well as an invitation to participate in a contest to illustrate a storybook. Art is the most holistic way to accomplish the science of communication: it’s informative, entertaining and educational. In the Riviera Nayarit, art and environmental education are coming together as local entities reach out to children. 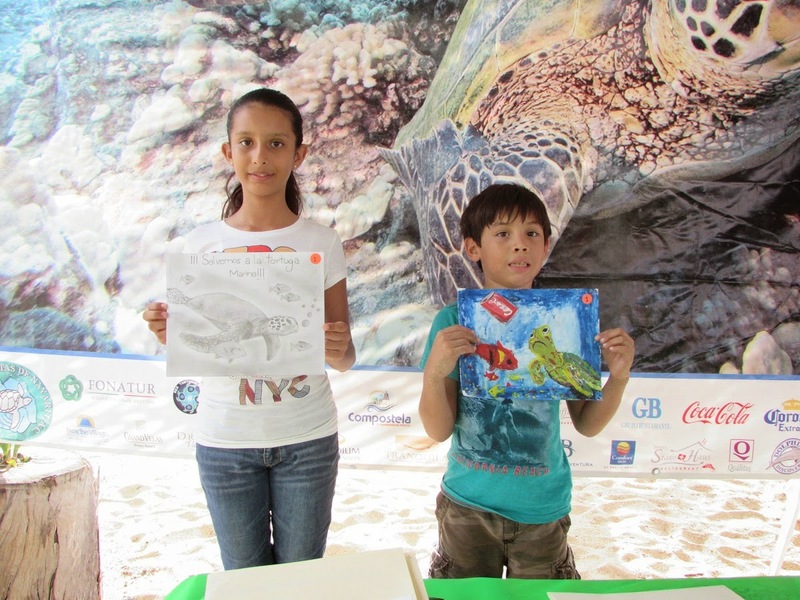 On June 28th, the El Naranjo Turtle Camp held its 2nd Marine Turtle Drawing Contest organized by the Nayarit Ecologists Group. The group secretary, Ricardo Villaseñor, commented they received 1,100 drawings this year, 200 more than last year. Some 20 elementary schools participated this time, spanning from Tepic all the way through the Riviera Nayarit to Puerto Vallarta. They designated two categories: from first grade through third was denominated “lower elementary,” and fourth through sixth “upper elementary,” There were 18 awards handed out in each category. “Several people have asked me what do I gain by putting together these contests; the answer is always ‘environmental education.’ It’s our most important work, because if a child does not know the marine turtle, he or she can’t protect it,” Villaseñor pointed out. “I learned that we must care for and respect the turtles, that we mustn’t hunt them or poach the eggs. This is a great contest,” enthused the winner of the first place in the upper elementary category, Fernanda Narváez, an 11-year-old student at Puerto Vallarta’s Alfred Novel School. This event marked the start of the marine turtle season, which will conclude on November 30th. Mexican illustrators from all over the Republic are welcome to participate. The award ceremony will take place during National Conservation Week, celebrated from October 25-31 at the ITBB. The winner will take home $3,000 Mexican pesos. For rules and regulations visit www.vaitiare.org.